I want to sit here a while and rest. Sit in the blue chair. Please set this blue chair in that corner. 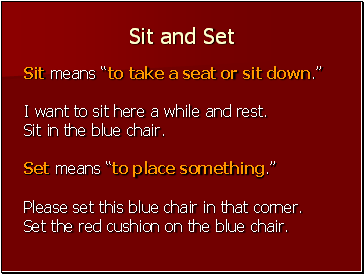 Set the red cushion on the blue chair. 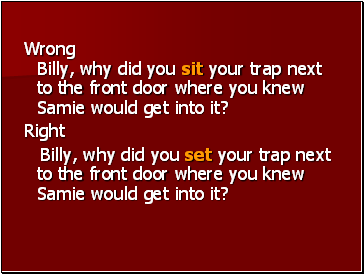 Wrong Billy, why did you sit your trap next to the front door where you knew Samie would get into it? 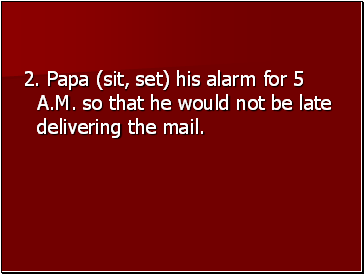 Billy, why did you set your trap next to the front door where you knew Samie would get into it? 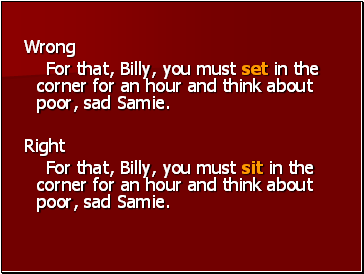 For that, Billy, you must set in the corner for an hour and think about poor, sad Samie. 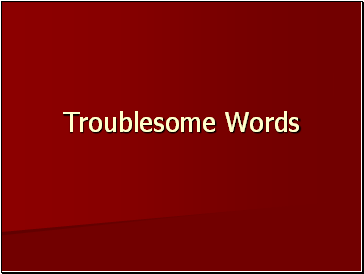 For that, Billy, you must sit in the corner for an hour and think about poor, sad Samie. I sit on the chair. I set my gun down. Write sit or set to complete the sentence. Grandpa did not like to _ in this chair. Grandpa did not like to sit in this chair. Mama carefully the lamp on the table. 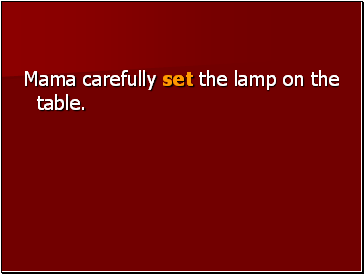 Mama carefully set the lamp on the table. 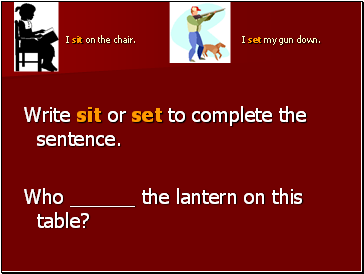 Who the lantern on this table? 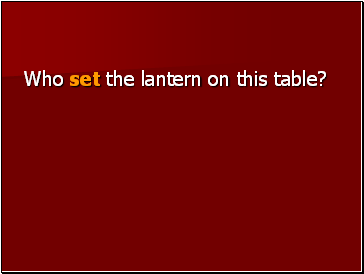 Who set the lantern on this table? 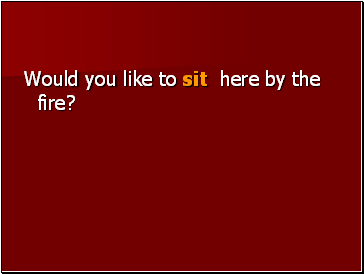 Would you like to _ here by the fire? Would you like to sit here by the fire? 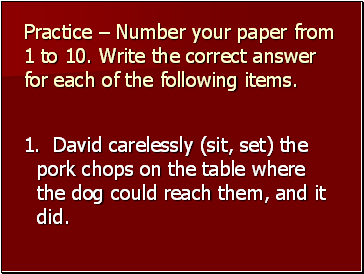 Practice – Number your paper from 1 to 10. Write the correct answer for each of the following items. 1. David carelessly (sit, set) the pork chops on the table where the dog could reach them, and it did.